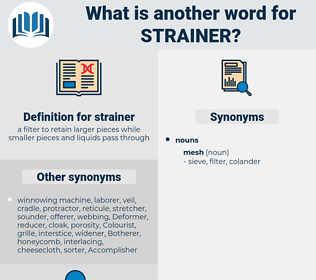 What is another word for strainer? He drew a narrow bench from which he had removed the coffee mill and a strainer up to the serving table, and sat down as far as possible from Eleanore, though even so they were as close together as if they were sitting opposite each other in a cab. Taste it in the mean time to try whether it is become pleasant; and as soon as it is so, run it through a strainer, and bottle it off. 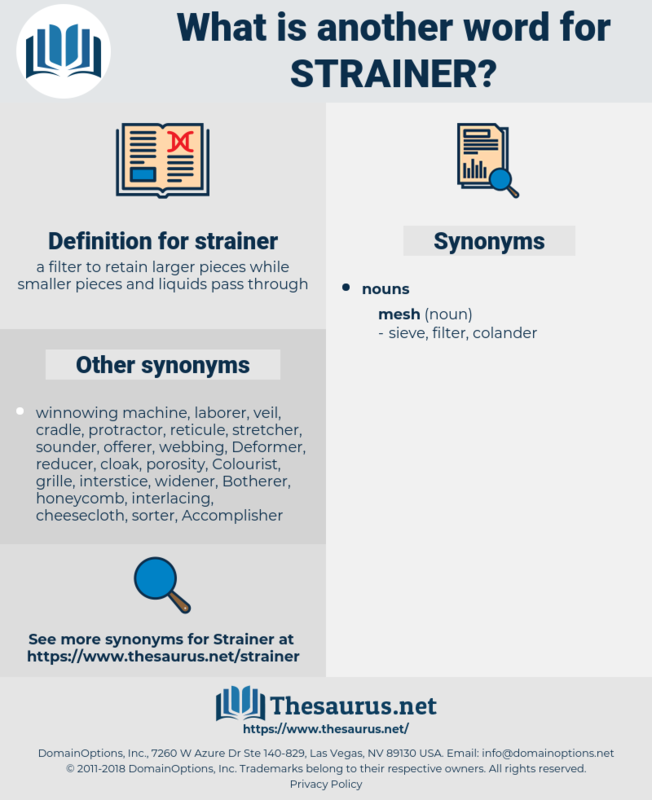 colander, sieve, screen, cullender, tea-strainer.